St. Patrick’s Boys National School is a Catholic Primary School. The school, in partnership with the community aims to create a happy, caring and Christian atmosphere where young people are encouraged and enabled to develop their full potential socially, emotionally, morally and academically. “To do the best for each child”. 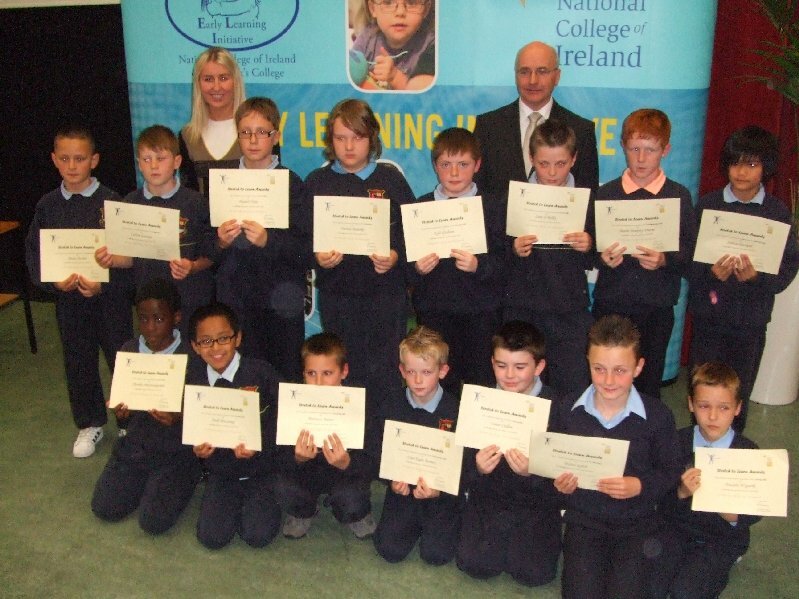 We encourage parents to visit St Patrick’s BNS to consider its suitability for their child. If you wish to visit please contact the school principal to make an appointment. 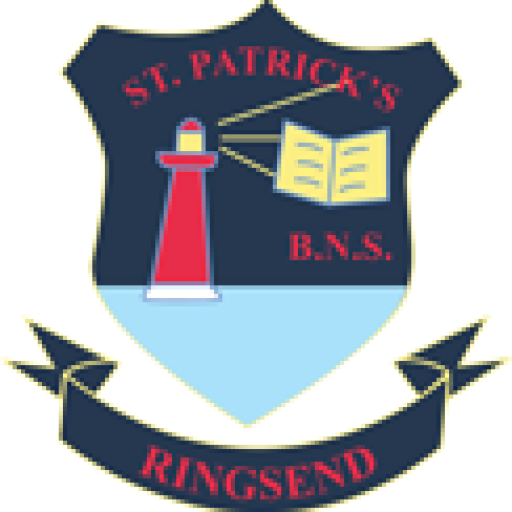 St Patrick’s BNS is a Roman Catholic school for boys. We are a DEIS Band 1 school. We have 6 class teachers, 3 S.E. Teachers and an administrative Principal. We have a shared HSCL teacher. We have one SNA. Juniors, Seniors and First classes are stand-alone classes on the ground floor. The SE Teachers have one room on the ground floor and two rooms on the middle landing. 2nd class and half of 3rd are together in one room on the top floor. The other two classrooms on the top floor host the other half of 3rd class who are roomed with 4th class and 5th and 6th classes. Our school day begins at 8.50 and finishes at 13.30 for Junior and Senior Infants and 14.30 for everyone else. Roll is called at 10.40. Yard break 1 is at 10.50-11.00. Lunch is eaten at 12.30 and Yard break 2 is from 12.40-13.00. The class teacher or supervising teacher escorts the class to and from yard and to and from the front door at opening and closing time. Juniors, Seniors and First Class go to front yard for breaks and the rest of the class go to the back yard. If it’s a very wet day, we stay inside. Lunch is provided for everyone and can be ordered online from Carambola. We operate a healthy eating policy and have an extensive list of items which are banned. One small treat is permitted on Fridays. Due to allergies, food items containing nuts are not allowed in the school. There is a Breakfast Club and After-Schools club here. Our school uniform consists of navy trousers and jumper with a sky blue shirt. Alternatively, boys may wear the school tracksuit with a sky blue polo shirt underneath. Visitors to the school must report to the Principal’s office. The school hall is shared with the girls’ school next-door. PE classes are conducted in the hall (time-tabled), yard or park. Swimming lessons take place in Sportsco pool. PE equipment is stored in the room beside the staff room and staff toilets on the middle floor. Some equipment for the Junior end is stored downstairs. Substitute teachers must provide evidence of their qualifications, Garda Vetting, Teaching Council Registration etc. The DLP for the school is the Principal and the DDLP is the Deputy Principal. A copy of the school’s Child Protection Policy is in each classroom.